All on the same team! 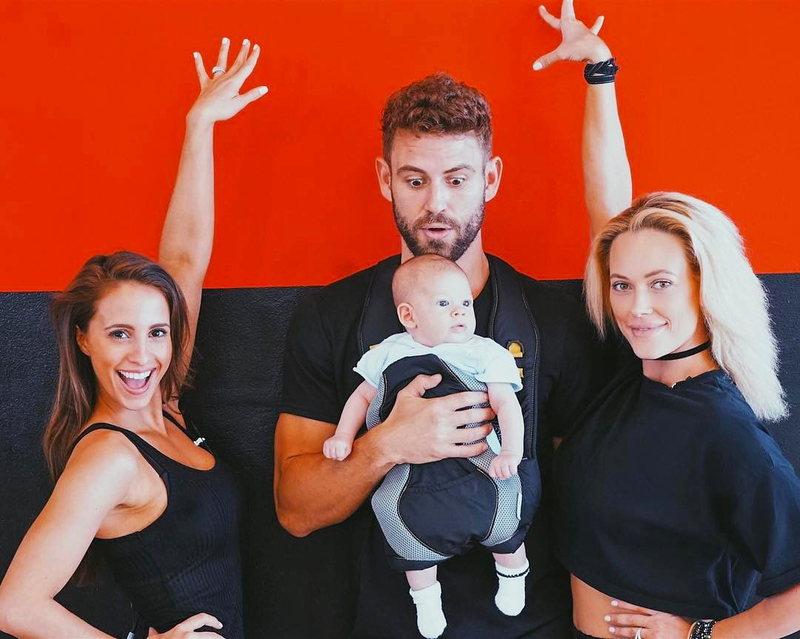 Vanessa Grimaldi joined her fiancé, Nick Viall, at a Dancing With the Stars rehearsal, where she met pro dancer couple Peta Murgatroyd and Maksim Chmerkovskiy’s baby son, Shai. Murgatroyd — who is returning to DWTS after welcoming Shai in January — and Viall, 36, are paired together on the upcoming season of the hit ABC series. Grimaldi’s appearance at Viall’s rehearsal comes just days after Bachelor fans watched the hunky reality TV vet propose to the Canadian special-needs teacher, 29, in a Finnish winter wonderland on the Monday, March 13, season 21 finale. In the latest issue of Us Weekly, an insider says that the couple are making their relationship a priority after Viall popped the question with a stunning 3.75-carat diamond Neil Lane engagement ring. “Nick and Vanessa want to be in it for the long run,” the source tells Us.